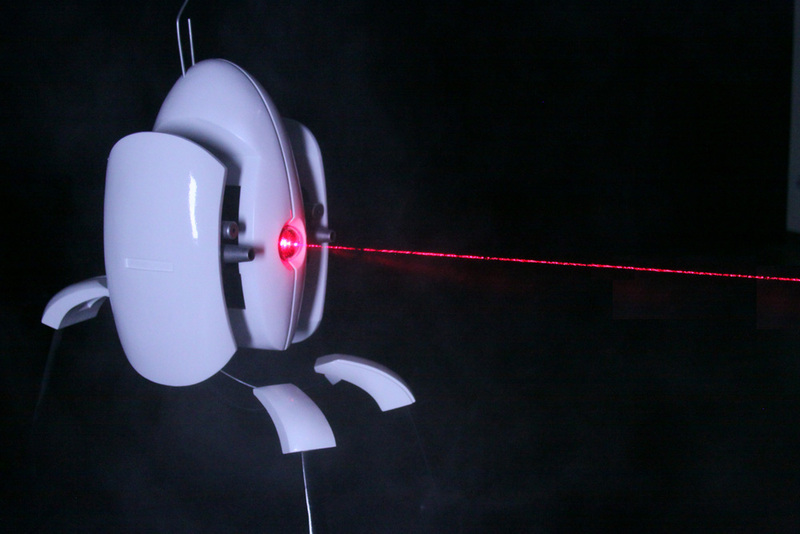 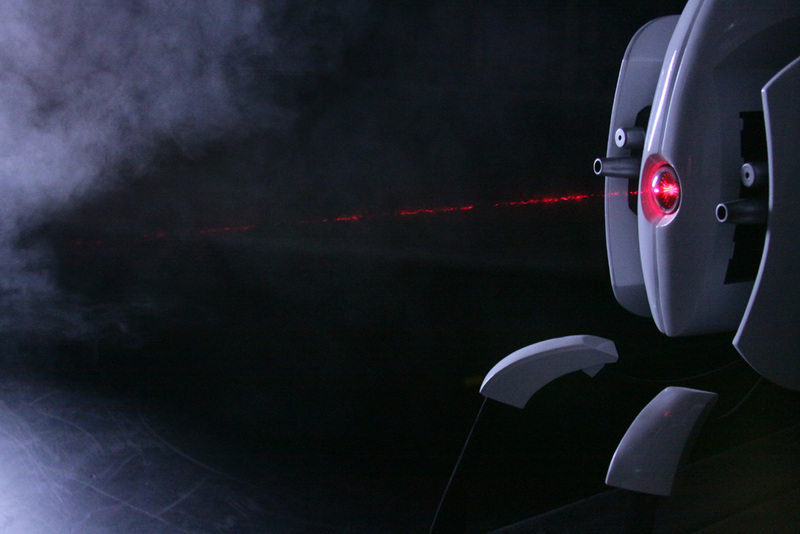 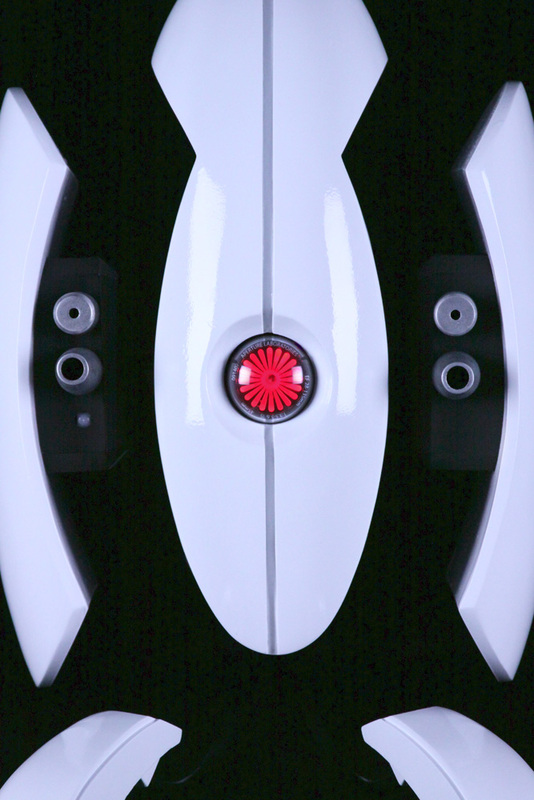 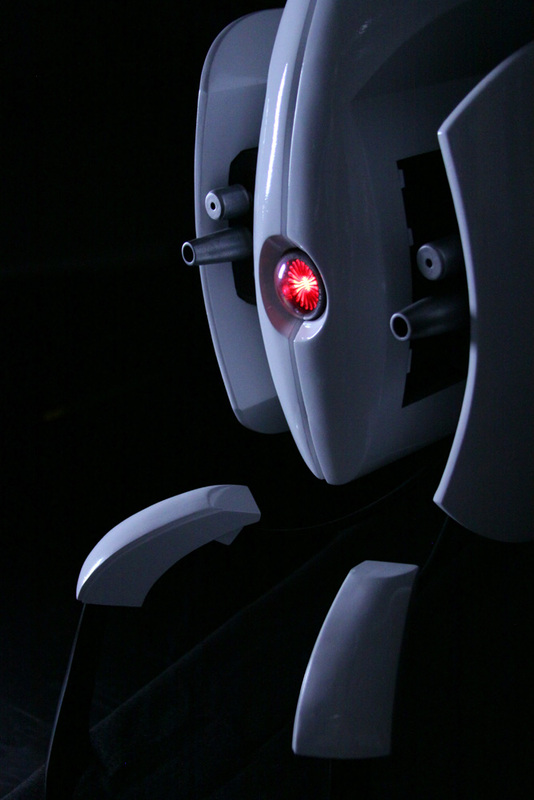 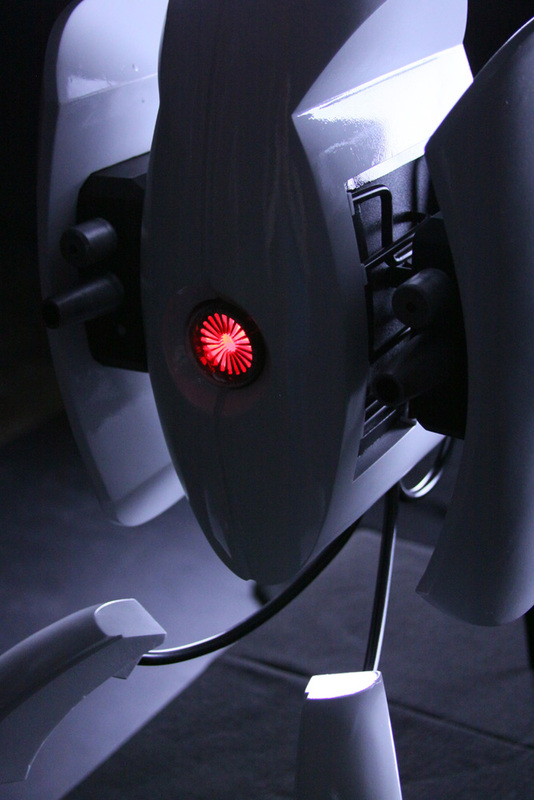 The latest creation from prop maker Ryan Palser is truly triumphant: a life-sized, high-gloss Portal turret with a glowing laser eye and a pleasant, conversational disposition. 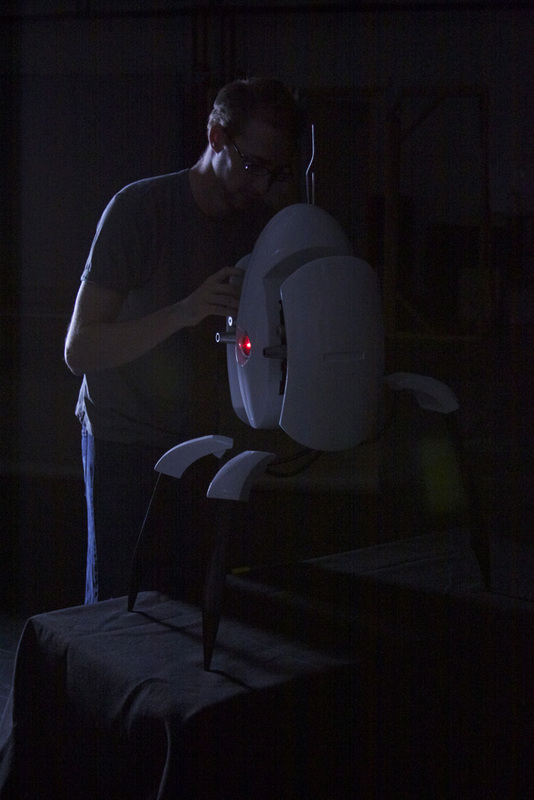 The talented Ryan Palser first came to our attention last August thanks to the stunningly-detailed Fallout 3 laser and plasma rifle models he'd built over the summer. 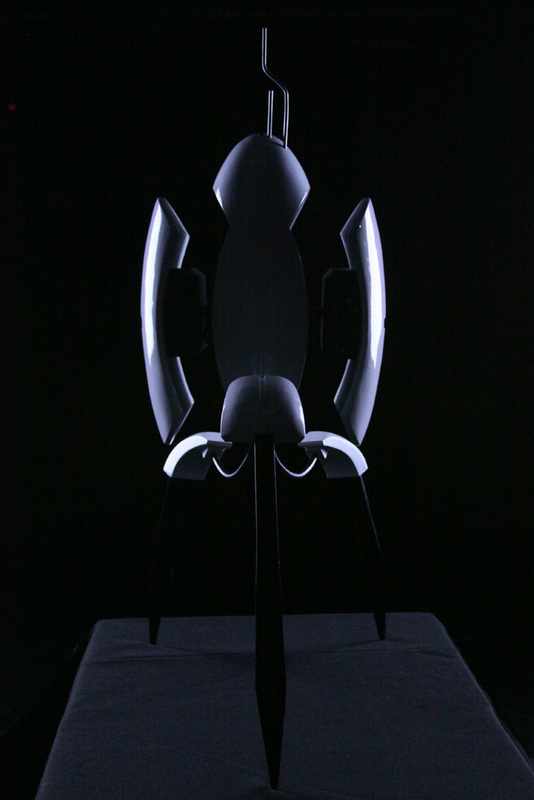 But as awesome as they are - and let there be no doubt, they are freakin' awesome - his latest creation is perhaps even awesomer. 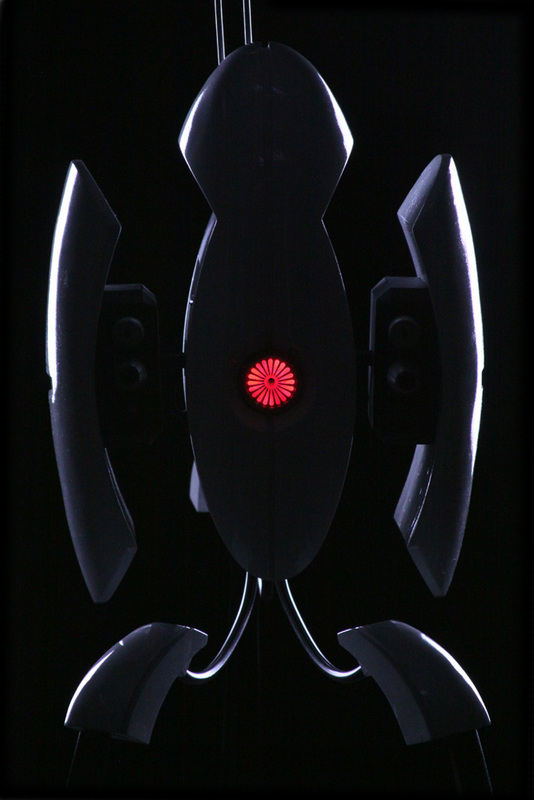 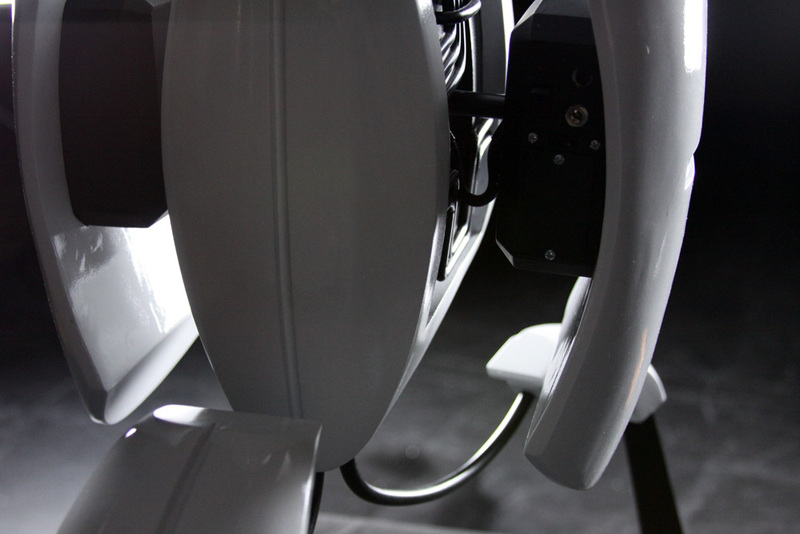 Behold the Portal Turret, or, thanks to the recent release of Portal 2, the Portal Turret Version 1.0, aka "Classic." 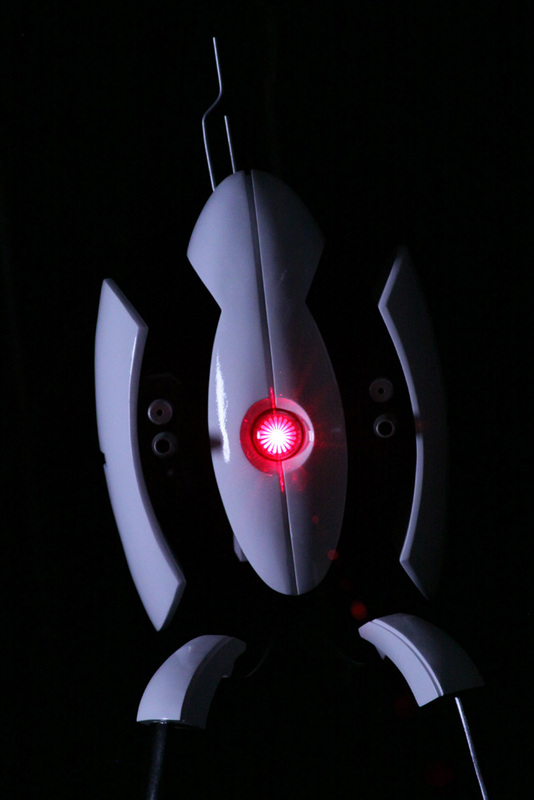 This cute little fella stands 38 inches high and while it doesn't actually move or open fire on hostiles, it does sport a working, rather creepy-looking laser eye and a motion sensor that triggers the famous Portal turret audio clips. 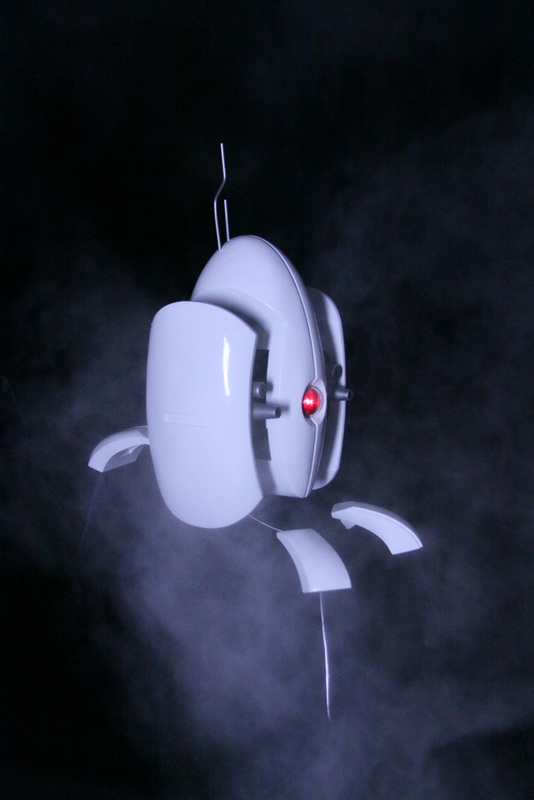 It operates on either battery or AC power and there's even a little button that overrides the motion detector and plays the Portal theme song instead! 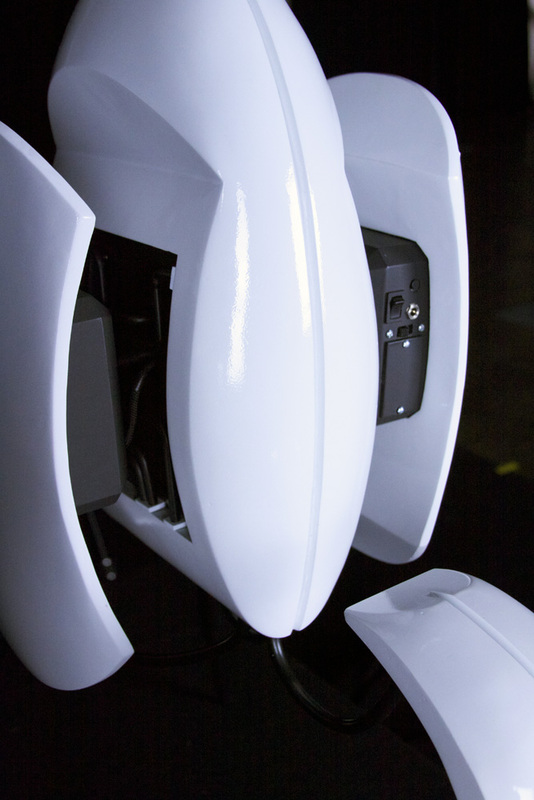 A hefty collection of photos detailing the turret build process from preliminary styrofoam cut-outs to glistening doorstop of death can be seen on Palser's Flickr site. 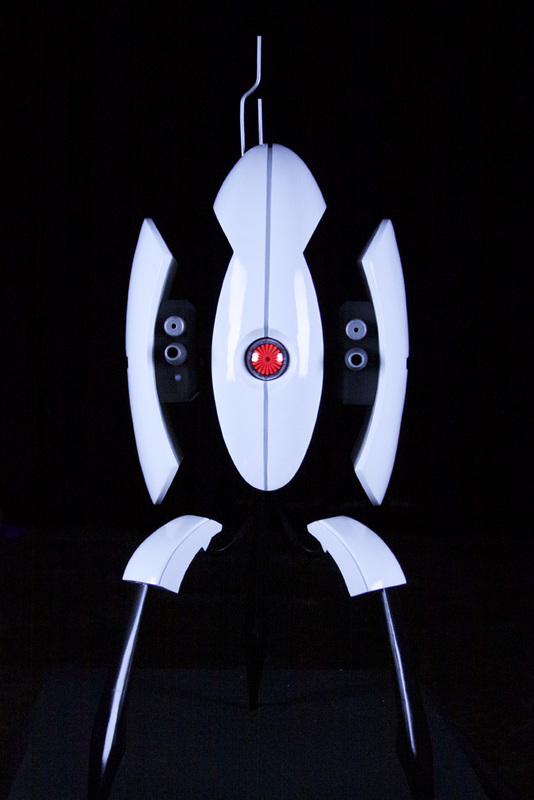 A huge success, indeed.